Bush will lie in state in the Capitol for public visitation through Wednesday. An invitation-only funeral service is set for Wednesday at Washington National Cathedral. It's not Bush's first move back toward national politics. 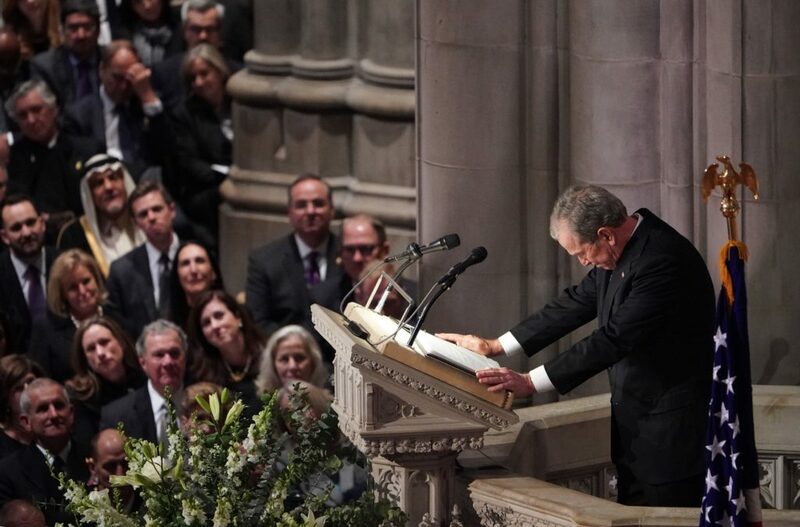 Bush re-emerged with a message that echoed with politics at the Sept. 1 funeral of Arizona Sen. John McCain in Washington. What does Jeb Bush’s campaign curiosity mean for other possible candidates?